Keynote Speaker Vence Bonham, J.D. The Third Annual Office of Health Disparities Research Retreat, held on September 28 and 29, 2015, was attended by seventy-two participants from across Mayo Clinic, including 6 from Arizona, 9 from Florida and 57 from Minnesota. 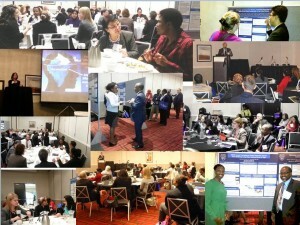 The participants included Physicians, Clinician Investigators, Allied Health, and collaborators from partner institutes such as Arizona State University, University of Florida, members of Mayo Clinic Community Advisory Boards, and health disparities office leaders under the clinical and educational shields. In addition, the chair of Mayo Clinic’s Office for Diversity and Inclusion, Dr. Sharonne Hayes, discussed overall diversity and inclusion efforts across the enterprise. The opening remarks were made by Dr. Gregory Gores, who emphasized the need for team science, discussed the Diversity Roadmap at Mayo Clinic, and described how OHDR was well on its way to achieving the metrics laid out for it by Office for Diversity and Inclusion. The main emphasis of this retreat was networking and collaborating, in step with OHDR’s efforts to continue increasing the cadre of researchers at Mayo Clinic engaged in health disparities research. In addition to an informal social the evening before the retreat, the agenda included ample breaks, a roundtable luncheon, and a reception in conjunction with the Poster Session, all of which gave attendees the opportunity to connect, share and participate in more personal dialogue. OHDR asked a repertoire of experienced health disparities researchers, who have been in the health disparities field for several years and who have successfully obtained extramural funding, to describe their efforts in the Science Spotlight section of the agenda. Those scientists aptly demonstrated the quality of research necessary to obtain and sustain such funding. OHDR encourages research in the field of health disparities research by providing approximately $250,000 in pilot funds every year for the purpose of generating pilot data to support extramural funding. This year’s retreat included a poster session where OHDR funding awardees from the past few years discussed data and updates on the projects that had received OHDR grant support. The poster format allowed for the detailed discussions and interpersonal communication that facilitates collaboration. The Office of Health Disparities Research is an outcome of direct recommendation from Mayo Clinic senior leadership as part of the enterprise’s efforts to increase diversity within the institution. These efforts are in place across all three shields, and colleagues from the Offices under each shield attended the retreat, described their recent efforts, and discussed how research can intersect with practice and education. As their retreat presentations (Enterprise Updates) clearly reflected, the Offices under each shield work synergistically and in alignment of the goals of Office of Diversity and Inclusion. The programmatic developments across the campuses were shared under the Site Updates. These presentations gave a flavor of projects at each location and demonstrated the cross-campus collaboration endeavors through the Office. The audience was encouraged to connect with Program Managers from the three sites to request facilitation of collaborations or arrange procedural or administrative assistance that they might need. 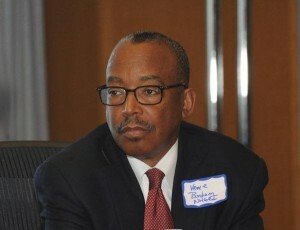 The keynote speaker, Dr. Vence Bonham, provided a perspective on health disparities research across the nation. Including a keynote address allows attendees to see the direction that HD research is headed, and to evaluate if the research progress made by Mayo Clinic investigators both is in line with new developments and is contributing to advancing the field. Mayo scholars who had been invited to attend NIH’s two-week intensive course on health disparities research also provided attendees with a perspective on research at a national level. 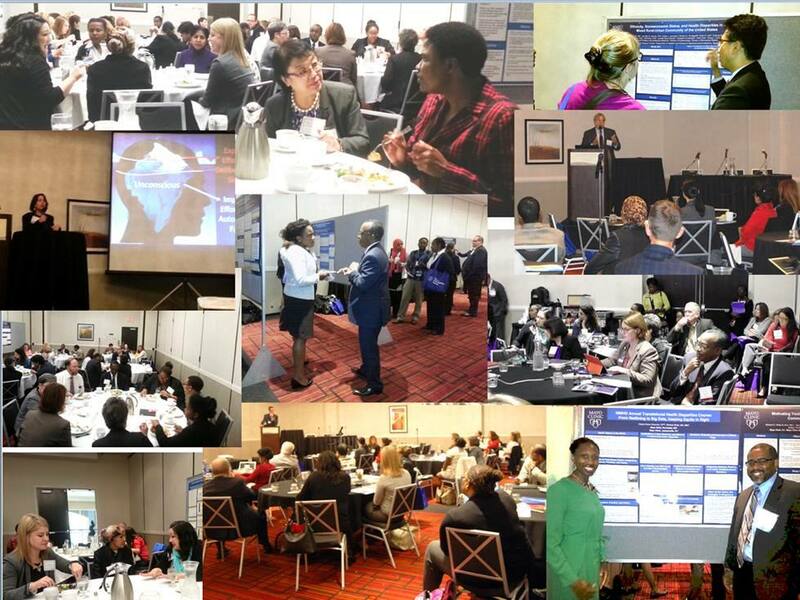 The Discussion Panels on the second day provided practical updates and advice regarding the process of health disparities research. Panel A discussed the nitty-gritty of procedural roadblocks to conducting this special kind of research. OHDR had invited questions ahead of time, and assembled a panel of behind-the-scenes facilitators, who discussed these roadblocks and who were moderated by an experienced investigator, who assured that the barriers had been addressed to the users’ satisfaction. The retreat concluded with Panel B discussing the process of collaborative research, and the unique approach needed to initiate, sustain, and evolve in collaborative research. Along with discussion of success stories, the immediate and long-term needs and logistics of conducting collaborative research across campuses at Mayo Clinic was also addressed. The Office of Health Disparities Research is grateful for the participants’ interest and time, and especially thanks all those who presented at the retreat. A more detailed Event Summary will be issued by year's end.